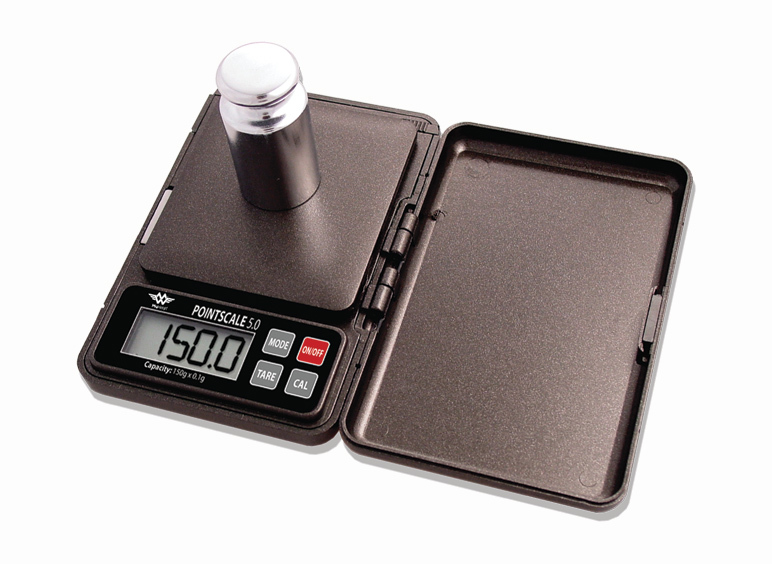 The My Weigh Pointscale 5.0 is a classic pocket scale with a best-in-class 1-second stabilization time, making it the fastest performing pocket scale available. This scale delivers uncompromising accuracy, speed, and durability by using advanced components such as XPoint Weighing Technology, a super fast FSCII Chip, 5PPS protection and a temperature control circuit. The My Weigh Pointscale 5.0 also features a removable hinged cover, an expansion tray/cover and an optional built-in calculator.